Sikkim is the most preferable holiday destination for people of West Bengal and near by states. In the midst the Himalayas, the state has many hill stations, where people can breathe free from their busy working schedule and relax their body and mind. Throughout the year, the temperature of these hill stations remain cool and enjoyable. As part of our annual trip, this year we had been to Gangtok and Pelling. Gangtok, the state capital of Sikkim, is a famous hill station with all modern facilities. Though a crowded place like all other state capitals, the city life enjoyable and not so complex. Pelling is a city of Sikkim in the West Sikkim district. Both the places have near-by site seeing places and monuments. People, planning to relax, should opt for lesser travel time on the hilly roads. 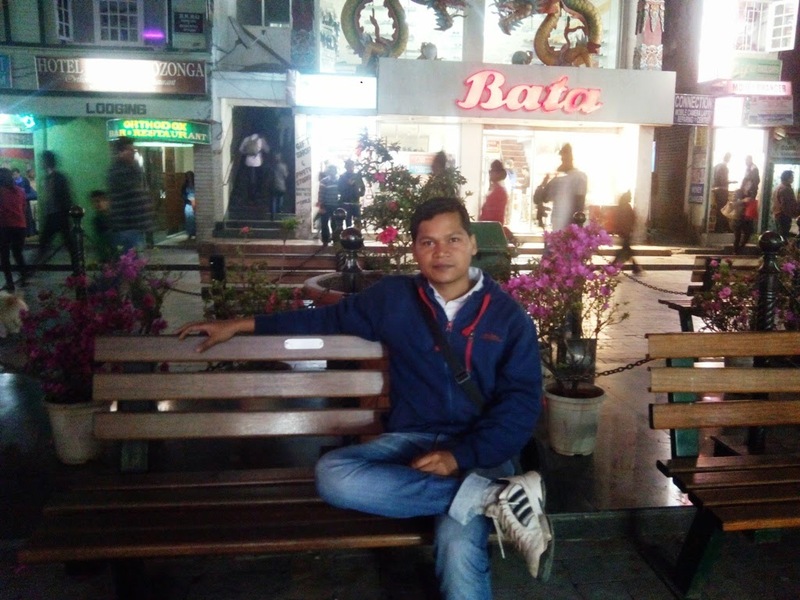 Though this was my 3rd trip to Gangtok in 6years, still I enjoyed each moment of it. It was the first time, I was traveling in a large group of 30-35 people. 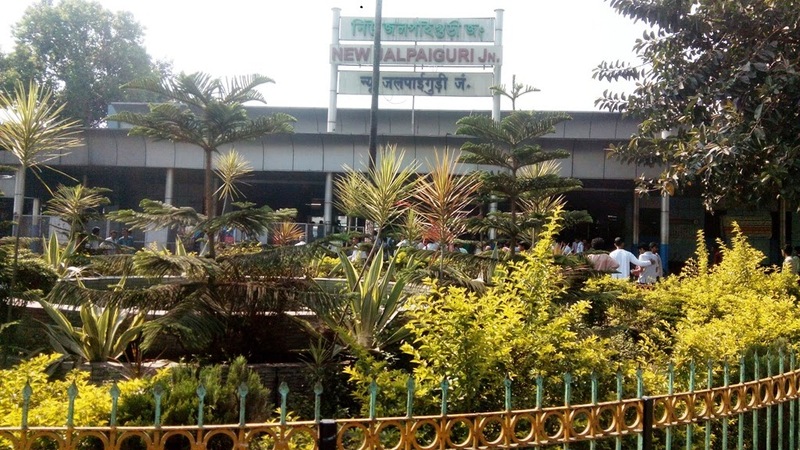 We started our journey from Sealdah Railway Station, Kolkata by Darjeeling Express and reached NJP in the morning around 8 AM. Our whole trip was organized by Saikrupa Hotel people. We had our breakfast at the station and headed towards Gangtok. It took close to four and half hours to reach at Gangtok. We took rest for the day. Few of us enjoyed the World Cup cricket match staying in the hotel and rest of the people went to the market at M.G. road in the evening. The evening rain fall in the hill station, made the weather chilling cold. On day 2, we had the plan to visit Tsomgo (Chhangu) lake along with Nathula Pass and Baba Mandir. In the morning, we came to know that, last day evening, there was a heavy snow fall in Nathula and Baba Mandir area. Hence, we could not get a pass to visit the two places and we have to cut short our trip only Chhangu Lake and Snow Play near by. We leave from the taxi stand at Gangtok around 9AM. On the way to the lake, we took snow boots and had some snacks and tea to keep us warm. We reached Chhangu lake around 12 O'clock. We visited the Shiv temple and the holy lake. The melting snow is the sole source of water for the lake, hence chilled. Yak safari was at Tsomgo lake to have a ride. We enjoyed the view of the lake and played with snow balls. Due to fog at high altitude, the visibility reduced and our driver suggested to leave the place as soon as possible. We had our evening snacks at the hotel and went for shopping. On day 3, we left Gangtok and headed towards Pelling. It was little more hectic in terms of journey, as the roads were not that good to travel such a long distance. In the afternoon, we went to Kanchenjunga Waterfalls and Khecheopalri Lake. The view of the waterfall was really amazing and we also took few picture there. Khecheopalri lake is treated as a holy lake, in the shape of a huge foot print. 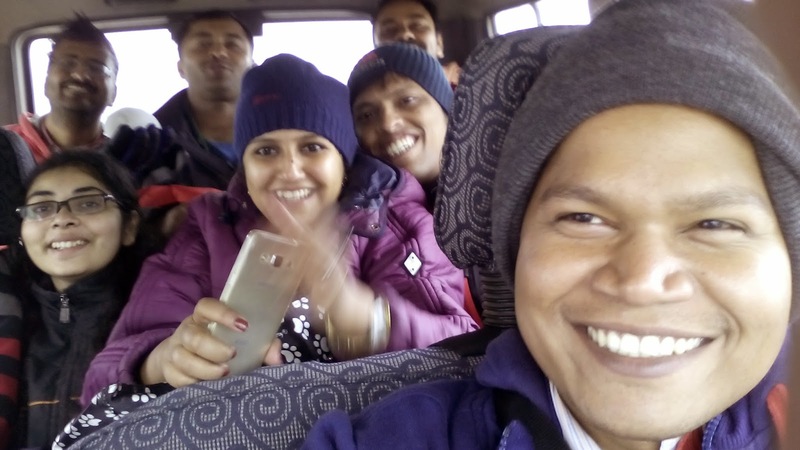 On day 4, few of us visited the monarchy, raj-palace and did some sight seeing at Pelling and rest of us preferred to take rest before getting into the cab for NJP. We board our return train at 8PM and reached Kolkata on next morning. Though few part of the journey was tiring, we enjoyed the whole trip to its fullest.